MV Sport, imported. 55% cotton, 45% polyester. KCC graphic in white. Double layered hood with matching drawstring. Pouch pockets. 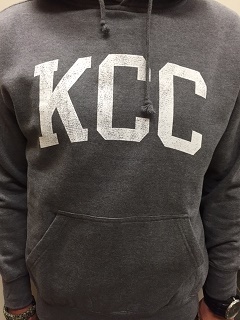 Please select option for HOODY CLASSIC KCC.